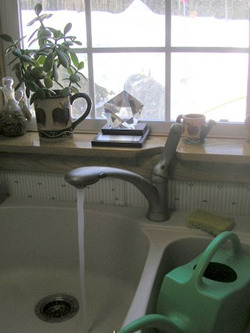 Pollution of Maine's drinking water by oil or hazardous substances is all too common. The Bureau is all too familiar with this problem since it is responsible for cleaning up private and public drinking water supplies polluted by oil or hazardous substances, often at public expense. The Bureau's goal is to minimize as much as possible public exposure to oil and hazardous substances and thereby address the associated public health risk. The Maine Legislature has enacted legislation to better protect private and public drinking water supply wells from such contamination. Overview of An Act to Prevent Contamination of Drinking Water Supplies - This law governs the siting of new underground and aboveground oil storage facilities and some hazardous waste facilities. It also governs the installation of some home heating oil tanks. For more information about Drinking Water Protection, please contact David McCaskill at (207) 287-7056.